Great message for any tennis player or anyone else. 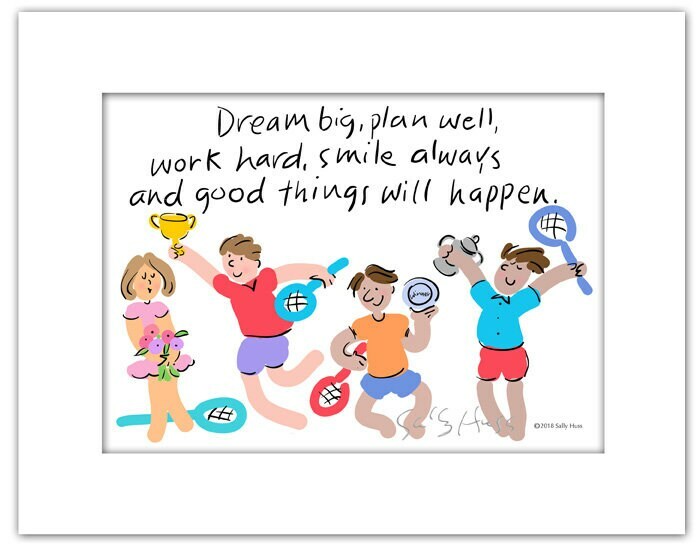 This inspirational phrase with the happy art is a hand-signed matted piece created for a new line of fun tennis gifts. The outside dimensions are 8"x10" and will fit into a standard frame. Enjoy!